There are many reasons which led us to this stage and convinced us to establish the company, Biokoma. Professionalism: We have always practiced utmost professionalism while carrying out customer orders. Quality: Our top-quality products are the main reason why we managed to make so many customers. Reliability: Our services have always been cent percent reliable and there has never been a point where our services disappointed our customers. Our mission is to provide the best herbal products to the people as using herbal products is much more beneficial as compared to products containing chemical compositions. Our vision is to see a happy and healthy world where the use of chemically prepared products is negligible. 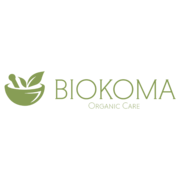 Rate and review Biokoma - Organic Care in Old Mill Creek, IL, United States! Share your experiences at Biokoma - Organic Care with your friends or discover more Grocery Stores in Old Mill Creek, IL, United States.